﻿ Christmas And New Year Holiday Composition With Gift Boxes, Pine Cone, Womens Hands Pack A Gift On The Blue Background. Top View, Flat Lay. Copyspace. 로열티 무료 사진, 그림, 이미지 그리고 스톡포토그래피. Image 90026707. 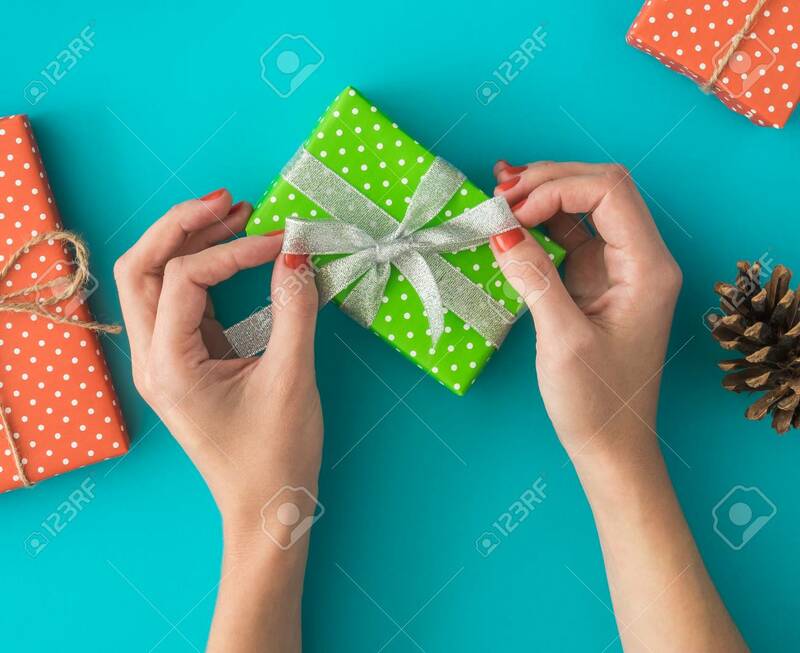 스톡 콘텐츠 - Christmas and New Year holiday composition with gift boxes, pine cone, womens hands pack a gift on the blue background. Top view, flat lay. Copyspace.